This is a trivial type of blog post but a lot of iPhone owners don't realise the level of support that Apple give you after sale. Let's firstly break down how unprecedented this is for a Phone manufacturer. Ask yourself this question have you ever seen a Nokia, Blackberry, Samsung, HTC or LG shop in the UK? Answer No. I'm not sure but I believe the US to be the same. Granted Apple sell more than just Mobile devices but it's a one of a kind type of Retail outlet in the World. Another question. Think back to your last phone before iPhone. If it developed a fault, you lost or damaged it what did you have to do? From my own experience you had to either deal with your Network provider or the place you brought the phone and they enjoyed making us spend more cash on getting devices sent off and fixed. Which was not only expensive but unsupportive and inconvenient. Fast forward to now and what do we do we have. They provide a unprecedented warranty that you can pay to extend. That offers not only Hands on support but telephone support. Yes it's £61 to extend it but that's £61 broken down over a year. That's 16p a day, £1.17 a Week or £5.08 a month for something that could save you hundreds of pounds if you had to buy a new phone sim free. The hands on Support is what is truly breath taking and makes having an iDevice a pleasure. Now I've spent 6-8 times with a genius via an appointment and it gets better every time. Apple actually has its own user experience for each customer. It also has an App that enhances the customer experience. With the Apple Store App you can not only purchase "online" you can also purchase in store. It offers many services extra if your in an Apple shop. Connect to the App and if you want the free Apple Store wifi and your presented with a store menu, where you can do anything of the following. Check in for your appointment with a genius. Ask a genius, you alert them and they come find you. Purchase via scan and pay. Where you scan via your camera and use your Apple id to pay. So I had the need for A genius two weeks ago. 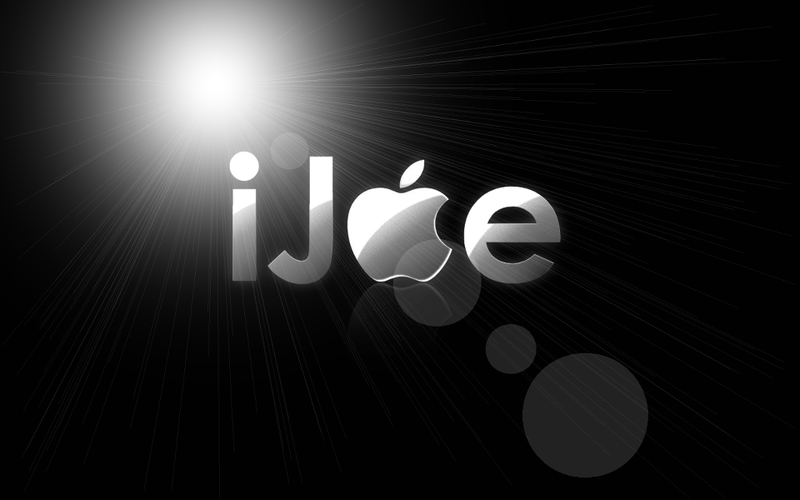 I'd developed a fault with iPhone 5 that even iJoe and the Internet couldn't fix. Basically my battery life was horrific. Now I look after my battery, follow everything your meant to do to save it - I'll create a guide next week - and so it was clear when this decided to change. I went from usual usage rates of surviving a full day with around 10% to losing all charge with in 6 hours of no usage. Also charging was slower and less effective. So I tried everything I knew, everything the Internet knew and booked myself an appointment with a Genius. Now I'm blessed to have two relatively close Apple stores by me. One in the centre of Birmingham and one in Solihull. The appointments are always earlier and quicker to get one on Solihull so I tend choose that one. I went in on a Tuesday, explained issues and explained what I'd completed. The Apple genius ran a wireless Diagnostics on the device and despite not living up to the Apple mantra of 10 hours battery life it passed all the tests. However he wasn't happy with this and said we had one more option to try and then if that failed he'd replace device. He did offer me a chance to get a new device there and then but as I have a custom designed skin on my phone I chose Visuals over operation and gave it one last chance. I had to clean install the phone no iCloud back up no nothing. I hadn't done this previously as I had a lot of data I didn't wish to reinstall. This failed. To be honest I only gave it one hour as I couldn't cope without all my old data and I could tell the battery wasn't well. It lost 10% in the five minutes of leaving store to getting into car. Those 5 minutes I didn't touch my device at all. So when I got home I rebooked for following day - an advantage for this store. Returned and got a different genius he however knew from my customer notes I'd been in and where I was - he told me the notes are done almost magically from the answers they put into their iPhones as they are dealing with you. Incredible. He told me he would sort me a new iPhone we just had to lie a little. As the device had passed all the standard tests we needed to create a little fault to swap devices. I'm not going to rat out this genius any more but rest assured I got a new device and he did his job 110%. It was nice to not have to jump through hoops to get what I wanted. The genius knew what was happening wasn't right and knew what to do to give me, the customer, what I wanted. Overall the Apple retail experience is second to none. Both enhanced by in store and via the App. If you have a slight niggle or problem I suggest you use them 5000%. They will fix the issue no matter what. Also if your outside your warranty they can replace your devices with refurbished ones for a fee, which it a lot less than a sim free phone. Got a problem. Use a genius.